Listen to the declaration of depute Gary Bodeau and tell me if you think what he is talking about is "Separation de gateau," like Haitians like to say it. According to the media, Depute Bodeau is crying because he wants a piece of the pie. There is definitely a pie being sliced up but are the Senators and Deputes the only ones who should stay out? Like Depute Gary Bodeau says, Will the people know who among the richest Haitian businessmen will get what and to what end? What lucrative contract will they benefit unbeknownst to the people? 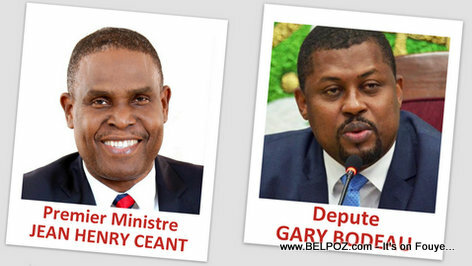 Gary Bodeau pa gen dwa ap ankouraje politik kowonpi, pike devan ki te fe pep la pran lari 6 ak 7 jiye ki sot pase a. Palmante pa gen dwa ap negosye pos ak lajan pou vote yon premye minis. Gary Bodeau ki konn ale manje res manje Boulos pou li degaje li. Se restavek moun ki gen lajan yo ye epi yo kowonpi. si w bezwen Aewopò, poukisa se pa yon pitit pèp la ki pran aewopò." Ak kiyès Gary Bodeau ap pale?